Live in Five helped open the doors of the The Clear Clinic to the media’s elite beauty and skin care community. Catering to the busy schedules of our media friends we added some perks to our invitation such as door-to-door car service, complimentary treatments and personal tours with Dr. Eric Schweiger at their convenience. Live in Five followed up with walk-throughs and one-on-one interviews to ensure a warm welcome into the world’s first dedicated acne treatment center! 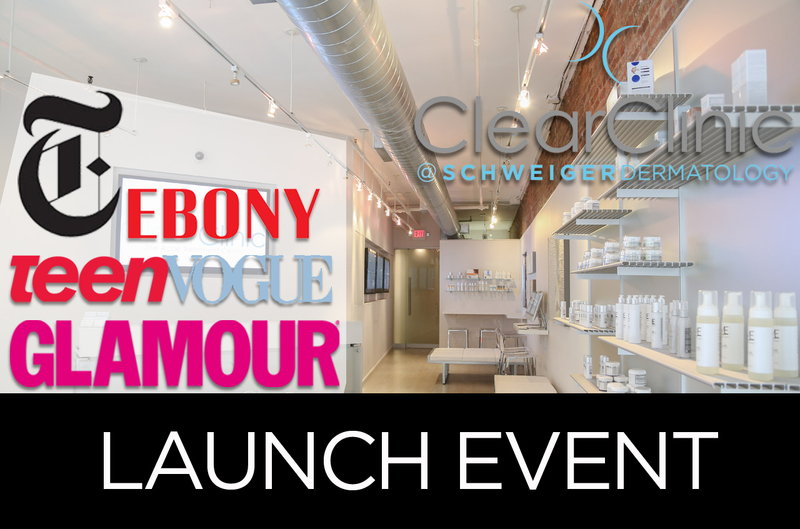 Selective beauty bloggers and vloggers had their own special day to learn about The Clear Clinic. They had a chance to tweet and snap pics of the newest beauty bar on the block and received gift bags equipped with sample products for review as well as thumb drives with ready-to-post blog entries to share with their audience. How resourceful! Our launch was a hit! Clear Clinic was the talk of the town with features in some of beauty’s most coveted pages including Harper’s Bazaar, Vogue and The New York Times’ Skin Deep Column, Cosmopolitan, GLAMOUR and much more, see our archive here! Our continuous efforts to create and maintain close relationships with top-tier media guarantees successful events and long-lasting partnerships for you and your brand!